Turquoise Cottage – Turquoise Cottage pub serves the finest spirits, wines, cocktails, mock tails and delicious food. 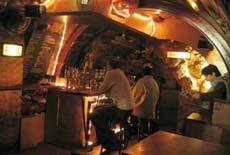 Geoffrey’s – The city’s most popular trendy resto-bar is situated near Andews Ganj. This resto-bar specializes in Chicken satay, Veg combo plate, Tandoori items like Reshmi Kababs, Bannu Kababs and in Non-veg platters, Grilled fish, Oriental fish, Crispy fish fillet. Opening Hours: Noon-1.00 a.m. Happy hours: 5.00 p.m.-8.00 p.m.
Avg. meal per head: Rs.500. 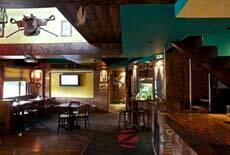 Lizard Lounge – The latest craze in South Delhi’s is the Lizard Lounge. It provides lip-smacking items like jumeria lamb steak and cocktails . Avg. meal for two: 750. 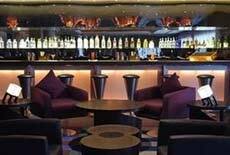 Aura – The Vodka Bar – The Aura Vodka Bar is situated at Claridge’s Hotel. Here all drinkers can drink 40 different types of vodka. 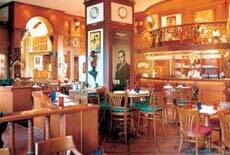 Timing: 4.00 p.m. – 1.00 a.m.
1911 Bar – A classy bar of Hotel Imperial is located near Connaught Place. 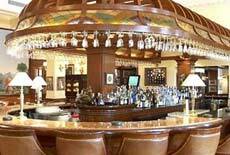 This bar is well stocked with more than 500 varieties of fine wines, liquors and spirits. 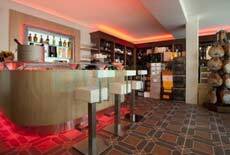 Henri’s Bar – A fantastic venue located at the top of Le Meridien hotel, Henri’s Bar is the place to head for a drink. Enjoy your drinks with the live band in the evening. H2O – The private bar of Hotel Taj Ambassador is located close to the famous Lodhi Gardens and Humuyan’s tomb. The main cuisine are Falafal, Lobster Pepper Salt and the Grilled Prawns which you can relish along with a drink. Live music. Open 12:00 p.m. -12:00 a.m., 12:00 a.m.-12:00 p.m. Avg meal for two: Rs. 800. 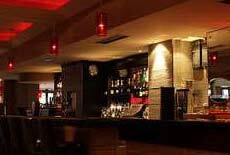 Saqi Bar – This wonderful bar is located at Connaught Circus. It is an excellent choice if you wish to enjoy an evening. A must visit nightlife of Delhi. Timing 10.00 a.m. to 7.00 p.m.
Opium Bar – An English bar is located at Hotel City Park near TV Tower. 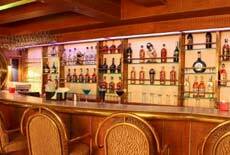 It has a vast variety of International & National Sprits and mocktails. 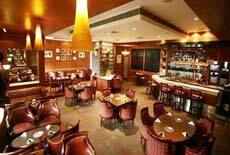 It also serves Continental Food along with World’s Finest vintage wines and Exotic Cocktails. Capitol – The city’s most popular nightclub is situated at the Ashoka Hotel. It is a major hive for the young, rich and beautiful on weekends. Enjoy with DJ Music after 7.00 p.m.
Orient Express Bar – A bar and award-winning restaurant at Taj Palace Hotel is known for continental cuisine. 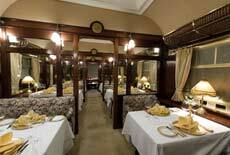 It serves a menu that traces the legendary train’s journey through the continent, culling specialities from each region. Jazz Duo performs every evening. Timings: 12:30 pm – 2:45 pm and 7:00 pm – 11:45 pm. Thugs – A delightful little bar is located on the first floor of Hotel Broadway. This unique-style bar serves a wide range of drinks from whiskey and wines to special cocktails. Athena – Recently set in Hotel Intercontinental Park Royal in Delhi, the white interior of Athena is attracting a lot of liquor and food connoisseur. The bar is not only famous for its quality drinks but also hosts a good range of dishes, namely Peking Fish, Malaysian Shrimp. Athena has its head office at Bombay and endorse one branch in Bangalore. Bacchus – Bacchus, the restro-bar is located at Priya Complex at the first floor. DJ at night adds to the excitement. A must go in the happening Priya Complex ! Polo Lounge– A typical English bar, Polo Lounge at Hotel Hyatt Regency offers a large variety of Cuba’s finest, at steep prices. This wonderful lounge boasts one of the most exhaustive selection of international spirits – especially malt whiskies – as well as a wide selection of liqueurs and exotic cocktails and mocktails. Avg. meal for two: Rs. 1000. Club Zeros – Located in posh M block market, Club Zeros serves some of the best liquor and wines. It is an enchanting place with affordable drinks and a cool atmosphere. Pebble Street – South Delhi’s 96 cover restaurant, Pebble Street serves multi-cuisine fare including Mexican, Italian, Continental food and occasionly Indian food. Exotic bar drinks and foot tapping music are also available. Happy Hours: 4.00 p.m. to 8.45 p.m.
Vintage – Just 5 Minutes drive to the South Extension Market, GK Market & Nehru Place Business Complex, Vintage, well stocked bar is located at Hotel Vikram. This a great place to pass a pleasant evening with your favorite drinks.